Do you tend to look at the glass as half full? Or half empty? Would you consider yourself a generally sensitive person? Since you come from reptilian genetics you have an uncanny ability to connect with the "earth". Your mission is to better understand this planet and to study people in new and unique ways. Arcturians are an incredibly advanced species known to be protectors of the earth. They also help humans with their psychic abilities. Your purpose as a carrier of Arcturian DNA is to hone your psychic abilities and help the human race connect to their true selves. Pleadians are known to have populated the nordic regions of earth at some point in history. You've got a little bit of their DNA in you so your purpose is to spread wisdom and love to the masses. Greys are probably the most popular of all the alien races. They are famous for abducting humans to study their DNA and tendencies. You're probably very logically-minded with a small stature. There's a whole whack of ancient alien races we've never heard of, little do we know...we all contain a piece of their DNA. 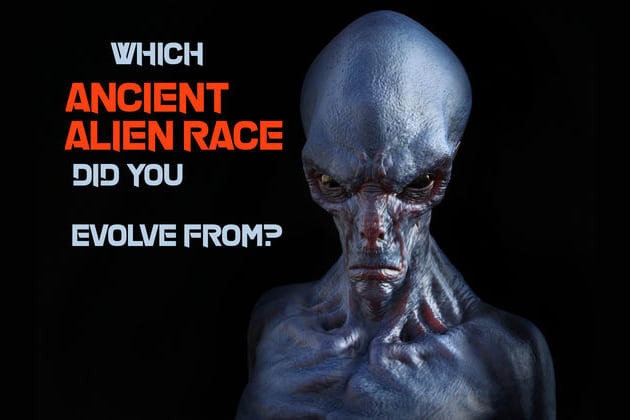 Which ancient alien race is pumping through your veins?